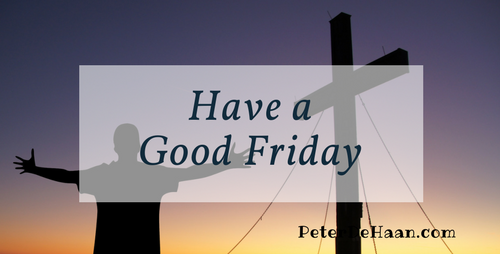 For many people, Good Friday is a solemn day, in which we take time to gratefully recall how Jesus was mistreated, abused, and ultimately killed—for our benefit. The intensity of this is powerfully captured in Mel Gibson’s 2004 movie, The Passion of the Christ. If you’ve not seen it, today would be an ideal time to do so—and if you have seen it, maybe it’s time to watch it again.